On Thursday, April 21, 2016, the world suffered the insurmountable loss of an icon in music and entertainment. 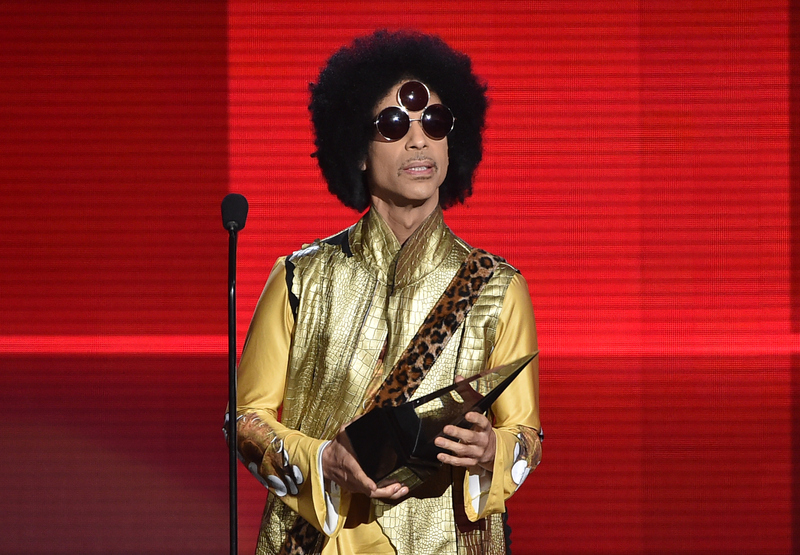 The legendary Prince was found dead in his home in Minnesota at the age of 57. His rep released the following statement to Bustle: "It is with profound sadness that I am confirming that the legendary, iconic performer, Prince Rogers Nelson, has died at his Paisley Park residence this morning at the age of 57." Bustle also received word from the Carver County Sheriff's Office that they are "continuing to investigate the circumstances surrounding his death." Following the news, as waves of condolences and memorials swept over social media, I almost immediately thought of a significant scene in Baz Luhrmann's Romeo + Juliet that made an impact on me as a young Prince fan. I was hit very hard by this loss as Prince has been one of my musical muses and inspirations since I was the little girl who snuck away my dad's "Purple Rain" tape. My parents told me I was too young to listen to his music, but I kept the cassette in my tape player and I danced around to "I Would Die 4 U" and dramatically mimed along with "Purple Rain." My first act of young rebellion fittingly came from being inspired by Prince. I didn't know what these tracks really meant, but all that mattered was that I felt it. A Prince fan was born. Jump to 1996, and every '90s kid's dream came true when Leonardo DiCaprio and Claire Danes starred as star-cross lovers in Baz Luhrmann's epic Romeo + Juliet. It is safe to say this movie changed my young life, from the moment Romeo looks over to the camera on the beach to their first sighting across the fish tank. The only thing that could make this film any better happened when a young choir boy began to sing a cover of Prince's "When Doves Cry." Maybe I am reading too far into this, but the impact "When Doves Cry" had on me in Romeo + Juliet shows the undeniably profound connection that music and an artist can have on a film and its viewers. Tarver's version of "When Doves Cry" was featured on the official soundtrack and went on to become a hit on its own for the singer. I think I am joined by many Prince fans who can say that if you weren't a Prince fan by the time you watched this movie and this scene, you certainly took a listen then. I think the best way to celebrate Prince's legacy and immense talent is to listen to his music and dust off that Romeo + Juliet DVD. Don't forget to wear your best purple, too. It's the only way he would've had it.